This rich and playful score is descriptive and full enough to tell a story of its own, and a lot of the time it does, with expansive sections of orchestral music in comprehensive dialogue with just the movement on stage. Bob Crowley's beautiful set design is as much a work of art as the classic pieces it enticingly evokes, with projections rippling across a combination of static and moving surfaces. What are effectively blank canvases on wheels are spun around the stage by the cast, equal parts choreography and design. Projections of Paris sweep across these surfaces with the fluidity of the stroke of a brush, with one scene bleeding into the next like watercolour into the pores of the page. The plot, which is somewhat thickened from the MGM film, is a sturdy (if not a little predictable) classic romance, sprinkled with witty remarks and just the right amount of laughter. However, where musical numbers are often an embellishment upon a purposeful narrative, in this case the story is overshadowed by the performance itself, reduced to the foundations of the flourishing palace of music and dance. Christopher Wheeldon’s choreography is the real star of the show and its execution is impeccable. This is not a show punctuated by sections of dance, but rather one continual current of movement, a stream of consciousness that ebbs and flows through sorrow, triumph, fear and elation. Saturday evening was Robert Fairchild’s final show as leading man Jerry Mulligan, and what a privilege it was to witness his astounding performance. 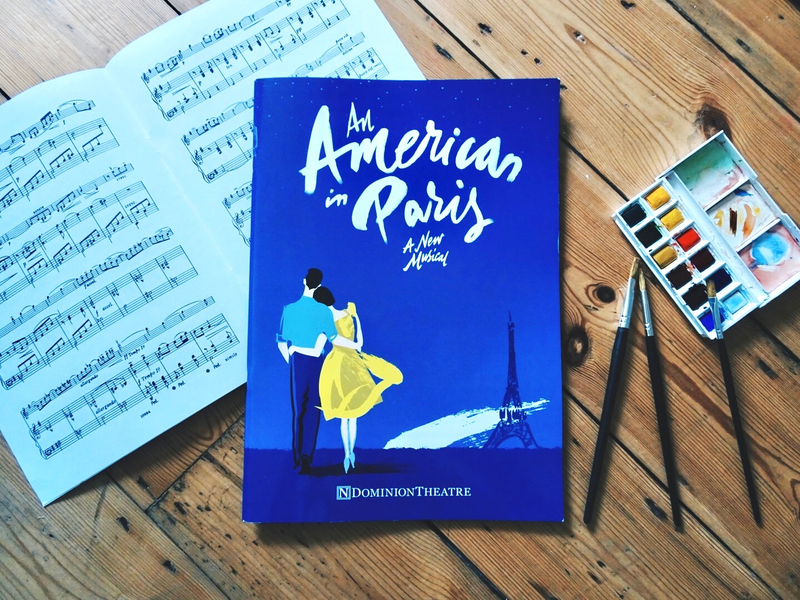 However, An American in Paris is by no means a one-man show, and the cast is made up of a collection of incredibly talented dancers, who carry their characters with commendable gumption and an ear for song. While the story itself is a little too unsurprising to pack any real punch, you leave the theatre mesmerised by an enchanting evening of dreamlike sequences, pining for your own Parisian escapade.